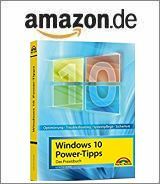 [German]On February 12, 2019, Microsoft released various (security) updates for Windows 7 SP1 and other updates for Windows 8.1 as well as the corresponding server versions. Here is an overview of these updates. It fixes the Microsoft Jet Database Engine access bug on Access 97 databases from January 2019. This update is automatically downloaded and installed by Windows Update. The package is also available through Microsoft Update Catalog. Installation requires that the latest SSU is already installed. As a known issue, Microsoft states, “After you install this update, virtual machines (VMs) may not be successfully restored if the VM was previously saved and restored. The error message is: “The virtual machine state could not be restored: This virtual machine cannot be restored because the stored state data cannot be read. Delete the saved state data and then try to start the virtual machine. (0xC0370027)”. This concerns the AMD Bulldozer Family 15h, the AMD Jaguar Family 16h and the AMD Puma Family 16h (second generation) microarchitectures. After installing this update, shut down the virtual machines before restarting the host. Microsoft is working on a solution and estimates that a solution will be available by mid-February 2019..
Update KB4486564 (Security-only update) is available for Windows 7 SP1 and Windows Server 2008 R2 SP1. The update addresses the following issues. The update is available via WSUS or in the Microsoft Update Catalog. If you install the update, you must first install the latest Servicing Stack Update (SSU). If you install the Security Only Update, you must also install KB4486474 for IE. This update also causes issues with virtual machines – see above note. Update KB4487000 (Monthly Rollup for Windows 8.1 and Windows Server 2012 R2) contains improvements and fixes that were included in the previous month’s rollup. It also addresses the following issues. This update is automatically downloaded and installed by Windows Update, but is also available from the Microsoft Update Catalog. Update KB4487028 (Security Only Quality Update for Windows 8.1 and Windows Server 2012 R2) addresses the same issues as Update KB4487000 (Monthly Rollup for Windows 8.1 and Windows Server 2012 R2). The update is available via WSUS or via Microsoft Update Catalog. When installing the Security Only Update, you must also install KB4486474 for IE. This entry was posted in Security, Update, Windows and tagged KB4486563, KB4486564, Security, Update, Windows 7, Windows 8.1. Bookmark the permalink. For W 8.1, did you miss these? For W 7 SP 1, same Question? They are not included in the Rollups I don’t believe….